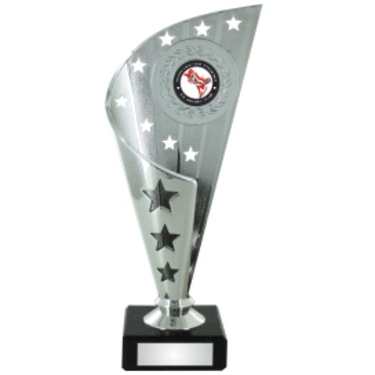 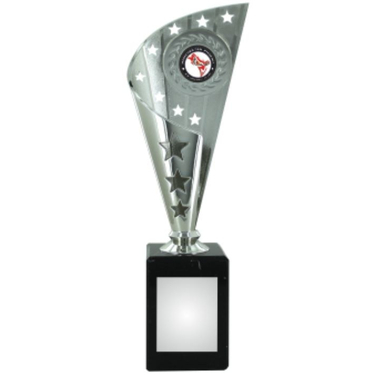 This Trophy features a lovley tall cup design with star cutouts ideal for any event. 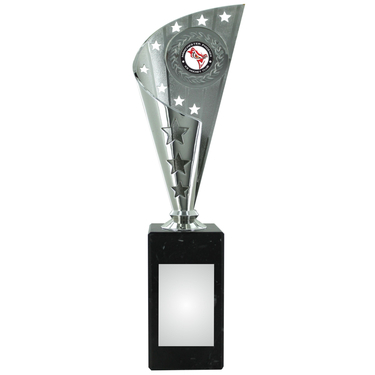 The base is ideal for a customised engraved plate and has space on the cup for a custom center sticker. 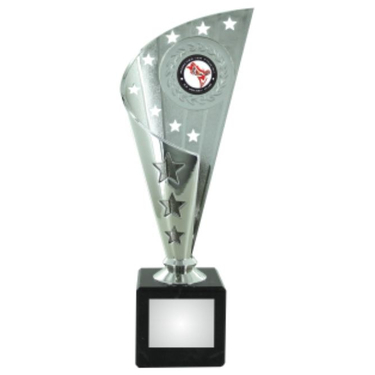 Sticker shown is for illustration purposes only.